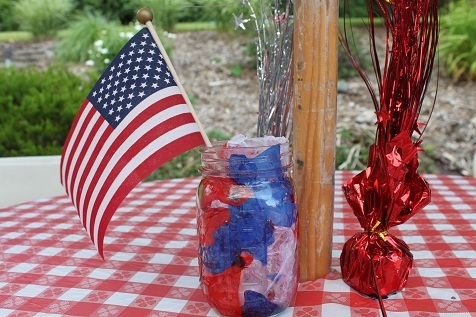 Here is a fun candle jar decoration that we made for the 4th of July. 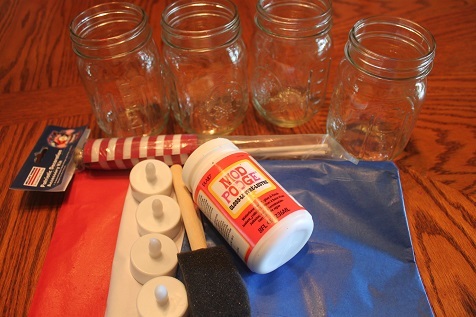 You will need some glass jars (we used canning jars), red, white and blue tissue paper, Mod Podge glue, battery operated candles and flags. 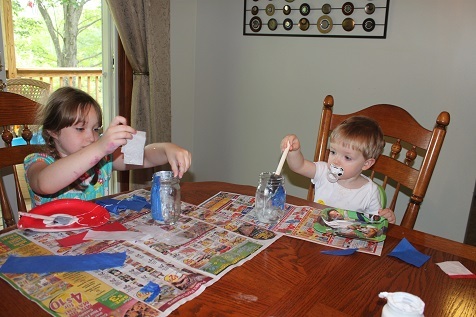 Decorate the inside of the jars using the red, white and blue tissue paper and the Mod Podge glue. 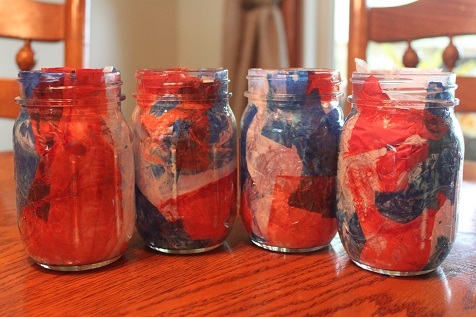 The jars, all decorated in red, white, and blue. 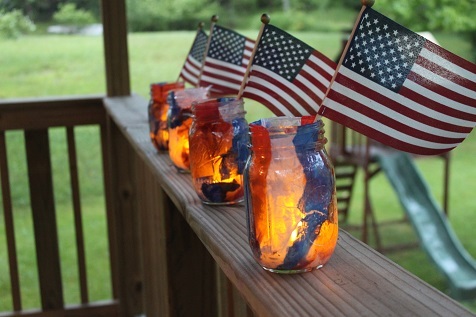 Once they were dry, we put the battery operated candle inside and added a flag. We had our family 4th of July picnic over the weekend, so they were added to the tables as a decoration. These are so cute!! I bet they’ll be BEAUTIFUL tomorrow!! We just did nearly the same thing last week. I cut our tissue paper into star shapes though. Looks like a great craft for the kids to help with and the battery candle is a great idea. Happy 4th!